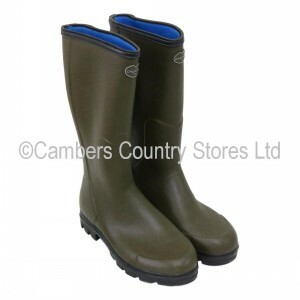 Le Chameau Anjou Evolution Wellington Boots. Anjou Évolution boasts a re-inforced design, a widened calf fitting and a neoprene lining for improved robustness, comfort and thermal insulation. The Anjou holds your trousers securely in place when you're on the move at pace, perfect for the country environment. 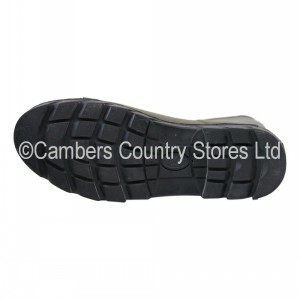 Lined with 3mm of neoprene, Anjou boots provide exceptional insulation against the cold and superior comfort when walking. Comfort rated to temperatures as low as -15°C. Height (cm): 37 - 38. Calf (cm): 40.5 - 41.5.